Analytik Jena is a provider of instruments and products in the areas of analytical measuring technology and life science. 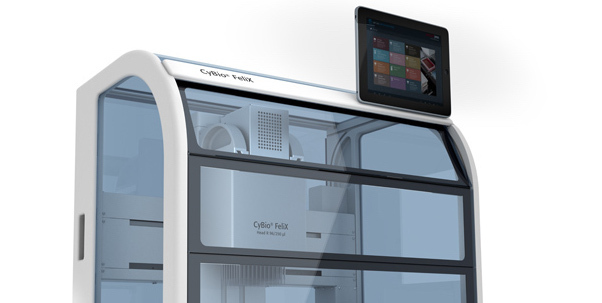 Its portfolio includes the most modern analytical technology and complete systems for bioanalytical applications in the life science area. Comprehensive service offerings as well as device-specific consumables and disposables, such as reagents or plastic articles, complete the Group’s extensive range of products. With the novAA® 800, Analytik Jena presents a new Atomic Absorption Spectrometer (AAS) which is pushing the boundaries of analytical routine applications. An instrumental design with flame, graphite furnace, and hydride technologies on one platform – along with an unparalleled variety of accessories – give users analytical capabilities that are unprecedented for the AAS segment. The easy-to-use novAA® 800 is especially designed to meet the demands of industrial process labs – for example in the food, environmental, or chemical industries– where moderate sample quantities have to be analyzed both cost-effectively and reliably. The Bundesanstalt für Materialforschung und -prüfung (Federal Institute for Materials Research and Testing, BAM) and Analytik Jena AG have agreed to cooperate extensively in the research and development of optical spectrometry in the area of elemental analysis. Palm oil is widely used in the food industry, for example in products such as margarine, spreads, chocolate, or pure as oil. Salmonella in your cheese or chocolate, horse meat instead of beef as labelled on the packaging, toxic arsenic in rice or high mercury levels in fish - food scandals and warnings from consumer authorities regularly grab our attention. Effective July 1, 2017, Analytik Jena AG is selling all of its shares in AJ Blomesystem GmbH to the GUS Group. For more than 25 years, Klaus Berka has been the thinker, guider, and doer of Analytik Jena AG. Analytik Jena AG (Germany) introduces an innovation in the field of combustion-based analyzers for the determination of Total Sulfur and Total Nitrogen in organic elemental analysis. For the clinical industry, the transition from Atomic Absorption Spectroscopy (AAS) to Inductively Coupled Plasma – Mass Spectrometry (ICP-MS) has been gradual over the past two decades. Analytik Jena AG and the private Fresenius University of Applied Sciences are setting up a joint application center for customers for both teaching and research at the university’s site in Idstein in Hessen, Germany. A change at the top for Analytik Jena AG. A novelty in High-Resolution (HR) atomic spectrometry, the Dual View PLUS plasma observation of Analytik Jena’s PlasmaQuant® PQ 9000 is now bringing state-of-the-art productivity and operator convenience to the most elaborate HR ICP-OES routines. More than a decade after its first commercial introduction with the contrAA® family of instruments, High-Resolution Continuum Source AAS (HR-CS AAS) has become a well-established and appreciated analysis technology in routine, research, and academia. Analytik Jena expands its product range of ICP-OES instruments (optical emission spectrometers using inductively coupled plasma) with a second model. Cost-effective operation requires trouble-free unattended work with high sample throughput and minimum downtime – 24/7. At fast injection rates of representatively large sample volumes into a high-temperature combustion system classical TOC analyzers reach their limits. The superior performance of the PlasmaQuant ® MS is achieved through the synergy of innovative technologies. Analytik Jena AG has established a branch office on the premises of Endress+Hauser at the Reinach site near Basel in Switzerland. At a meeting in September, the Supervisory Board of Analytik Jena AG made the decision to expand the Company’s Executive Board. 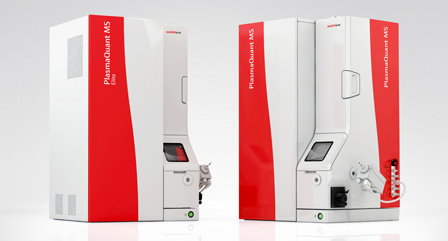 The newly developed mass spectrometer with inductively coupled plasma from Analytik Jena, PlasmaQuant ® MS, provides ADD 10 — the all-digital detection technology covering 10 orders of magnitude linear dynamic range. Designing a high-end plasma torch of low maintenance is no rocket science! Analytik Jena AG is supporting science education in the crisis-ridden country of Ukraine. In today’s products and materials ultra-trace amounts of additives and impurities often have great influence on performance and grade. Analytik Jena has once again acquired a major order from its most important export region, China. The Company will supply a total of 33 atomic absorption spectrometers of the ZEEnit 700 P product to the “Water Resources Bureau” of the Chinese metropolis Chongqing, which is responsible for preserving the drinking water quality of the groundwater resources and for protecting the natural characteristics of the water systems there. The devices will be used to analyze and monitor the rural drinking water quality in the region, which is home to more than 30 million people. Analytik Jena’s PlasmaQuant ® MS was presented to the public at the Analytica Expo in Moscow during a workshop held at the Analytik Jena booth. 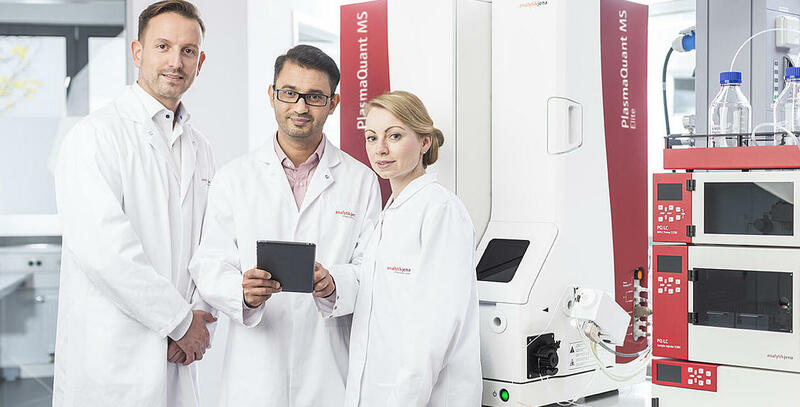 With the introduction of the PlasmaQuant ® MS, Analytik Jena has extended its portfolio with an ICP-MS.
Due to their specificity related to action and substance, enzymes enable a multitude of simultaneous metabolic processes in the human body. Analytik Jena AG has purchased the entire rented and owner-occupied real estate complex at their corporate headquarters in Jena. The real estate in the Jena-Göschwitz industrial estate comprises multiple modern new-builds as well as a renovated old building from the former Carl Zeiss Jena conglomerate. Analytik Jena AG has maintained its corporate headquarters in Jena-Göschwitz since 1995 and employs roughly 400 employees there today. Taking pictures with your camera you may find that images often look okay on a first glimpse, but when zooming in fine details are barely noticeable. Since its introduction into the market, High-Resolution Continuum Source (HR-CS) AAS has revolutionized the world of spectroscopy. Analytik Jena AG has established its own subsidiary in India, AJ Instruments India Pvt. Ltd., in order to strengthen its presence in the Indian market. The ASpect CS software package version 2.0 for High-Resolution Continuum Source (HR-CS) AAS with the contrAA® series provides innovative new features significantly increasing productivity, flexibility and operation comfort. Analytik Jena AG, a manufacturer of analytical measuring technology and life science instruments today announced that it has closed the acquisition of the ICP-MS business of Bruker Corporation (NASDAQ: BRKR) on September 12, 2014. For rapid and precise determination of liquids and gases, particularly in the trace range, the use of vertical systems has become standard. Analytik Jena AG, a leading manufacturer of analytical measuring technology, life science instruments and optoelectronics, today announced that it has signed a binding agreement to acquire the ICP-MS business of Bruker Corporation (NASDAQ: BRKR). For TOC analysis of particle containing samples the multi N/C® series offers the direct injection system and waste water specialist multi N/C® 2100 or the all-rounder multi N/C® 3100. An intuitive, user-friendly and flexible software is the basis for the precise and intelligent control of spectrophotometers. Analytik Jena AG is introducing a new generation of autosamplers for a wide range of products. In high-throughput analysis the most important demand is to have safe and stable performing analysis systems. A justified question: for half a century, AAS users had to put up with abstract numerical values. Analytik Jena AG wants to expand its business with analytical measuring technology and Life Science products in the Middle East region, one of the fastest-growing markets in the world in this field. Fast and cost-effective sulfur determination is an important task of process optimization and quality control in refineries. Within its core segment for analysis measuring technology, Analytik Jena AG now offers with the PlasmaQuant® PQ 9000 its first High-Resolution Array ICP OES (optical emission spectrometry using inductively coupled plasma) for multiple element analysis as part of its own technology portfolio. Analytik Jena AG has obtained a major contract for the supply of 22 instruments of the multi N/C® series to analyze the water quality in the Chinese province Henan. 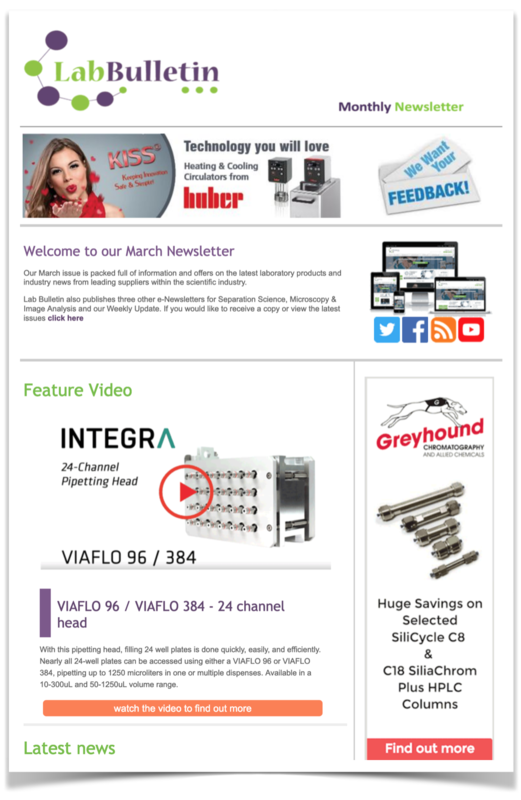 The price conscious user mainly looks out for overheads when considering TOC analysis. The MVV Energie AG won the great Analytik Jena quote campaign related to the proven SPECORD® device. Offshore-produced oil contains considerable chlorine contents, which adversely affect the transportation and refining process. The High-Resolution Continuum Source AAS technology (HR-CS AAS) now also enables the detection of non-metals using an AAS instrument, the contrAA® from Analytik Jena. In the year 1846 Carl Zeiss founded the Optical Workshop in Jena which was the beginning of the industrial production of analytical instruments worldwide. The analysis of gaseous matrices is still a real challenge. No matrix type is as versatile in its behavior and the requirements for sample feed and combustion process. Analytik Jena UK will be celebrating the 50th anniversary of the SPECORD® range of spectrophotometers at the Lab Innovations exhibition by showing the SPECORD® 210 Plus double beam UV/Vis instrument. The multi N/C 3100 and the multi N/C UV HS TOC analysers will also be on show, reflecting the fact that the company also has decades of experience in this field of analysis. The ‘mercur’ from Analytik Jena UK is a compact system specially optimised for the complete, cost-efficient determination of mercury traces to the ng level. Analytik Jena AG's company museum presents the exciting history of analytical measuring technology in Jena to visitors, customers, business partners and interested guests over 70 square meters, and showcases the successful continuation of instrument development at Analytik Jena up to the present day. Analytik Jena AG, based in Jena, Germany has acquired all of the outstanding shares of Upland, California based UVP, LLC including its subsidiary, Ultra-Violet Products, Ltd., located in Cambridge UK. analytica 2012: Analytik Jena to Showcase Future Trends in the Field of Analytical Instrumentation Technology and Biotechnology Apr 16, 2012 At this year's analytica, which takes place from April 17 to 20, 2012 in Munich, Analytik Jena AG (Hall A1, Stand 211/310) is set to showcase technology trends of the future with its broad portfolio in the fields of analytical instrumentation technology, life science and LIMS. One trade fair highlight in the field of traditional analytical instrumentation technology is the contrAA® series, a device family for high-resolution continuum source atomic absorption spectrometry (HR-CS AAS) that is unique on the market.